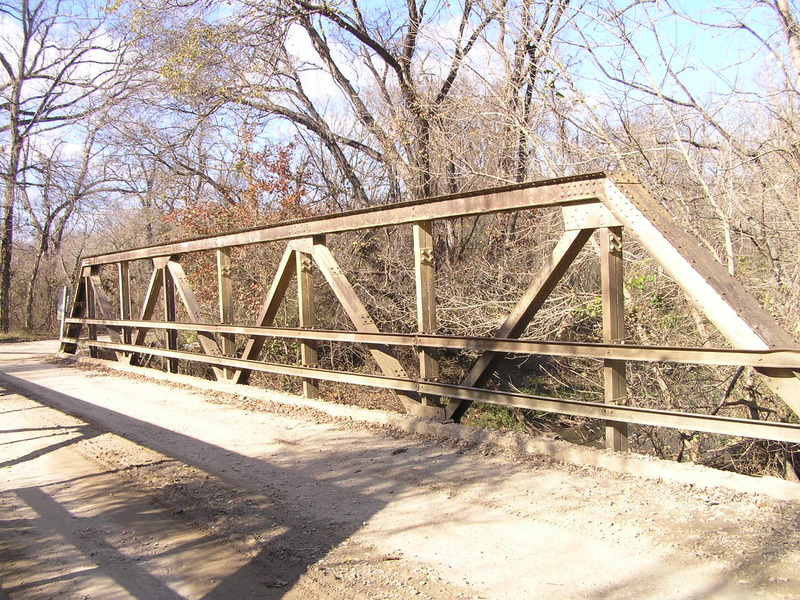 Salt Creek Bridge, Okmulgee Co. 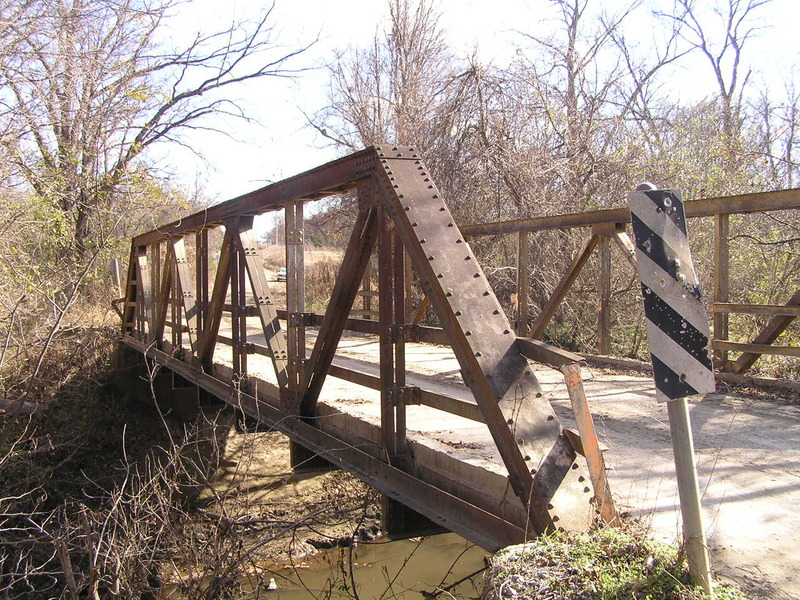 Built in 1929 and measuring 60 feet long, this bridge is quite massive in appearance. It is located on EW890 road. 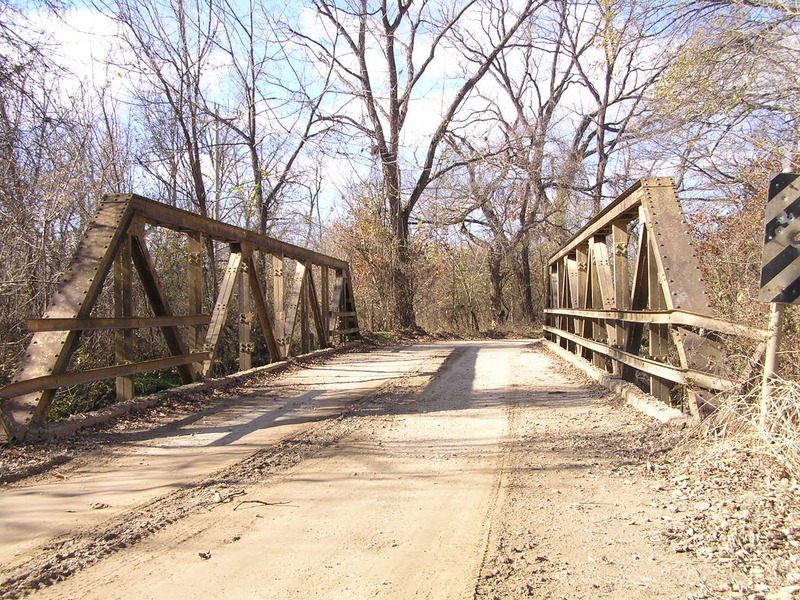 Above, and below, general view of the bridge. 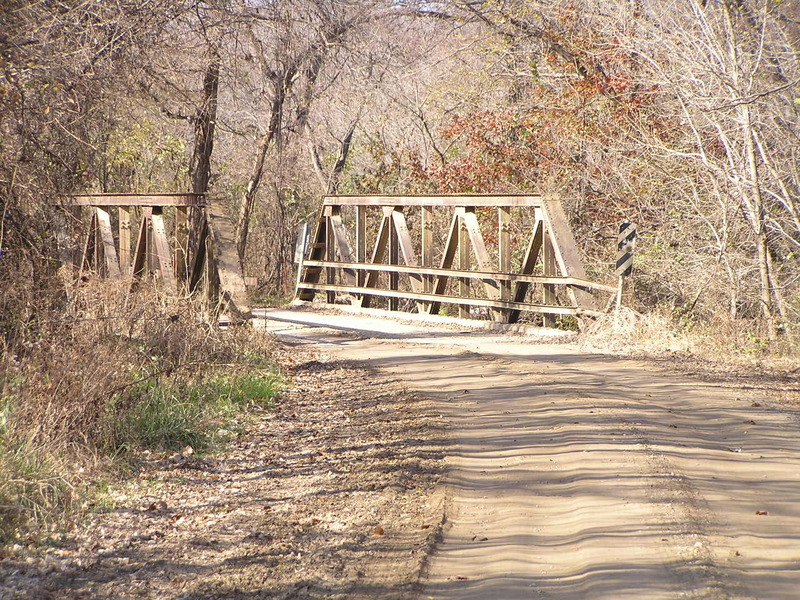 We did not verify the bridge's length, though it does look longer than 60 feet. The deck is 15 feet wide. Above, a view along side the bridge. The span is built mostly of plate and angle, with channel used in the upper chords. Below, the concrete deck comes right up along side the truss, and many gusset plates along the curb have rusted out. 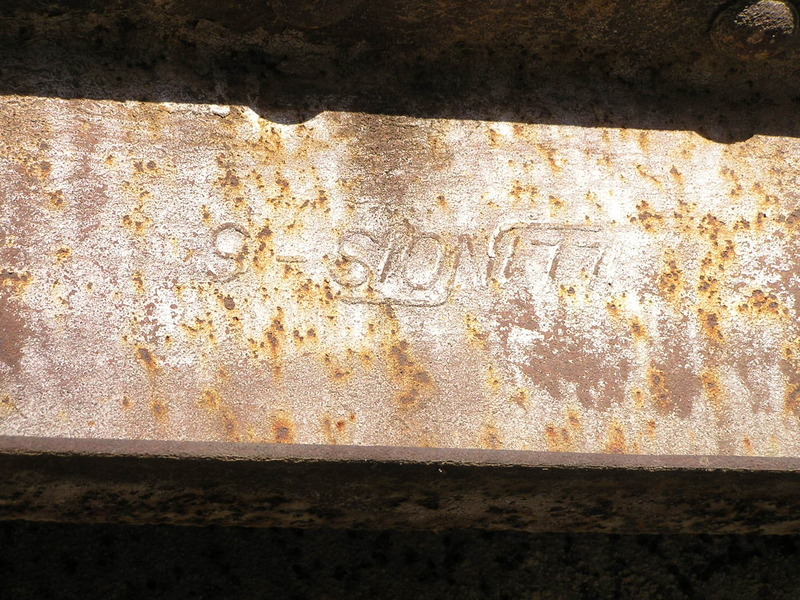 Above, the Illinois steel mark on the web of a channel. Below, a final view of the span. 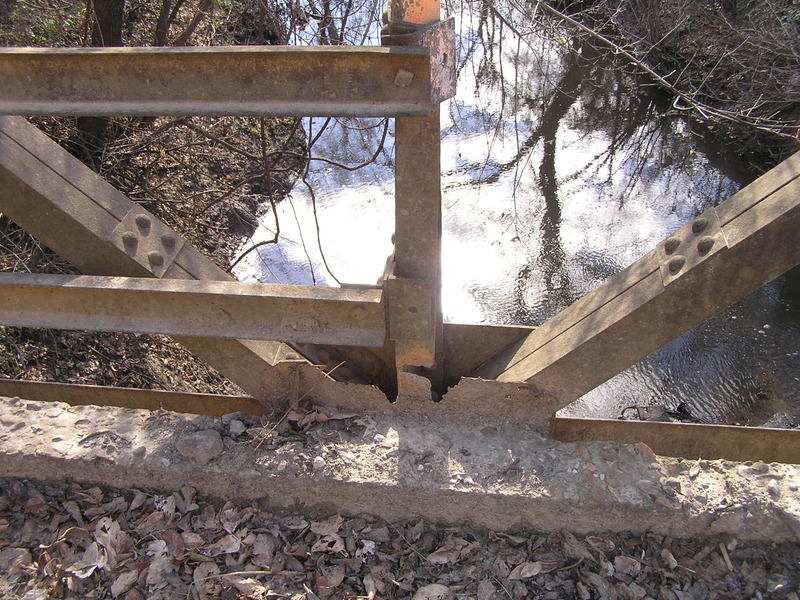 Although the span was not load posted, the condition of the gusset plates is sure to attract attention.